As part of the Dagenham Town Show parade, the [REDACTED] torch, outriders, runners, police and sponsors came to town. 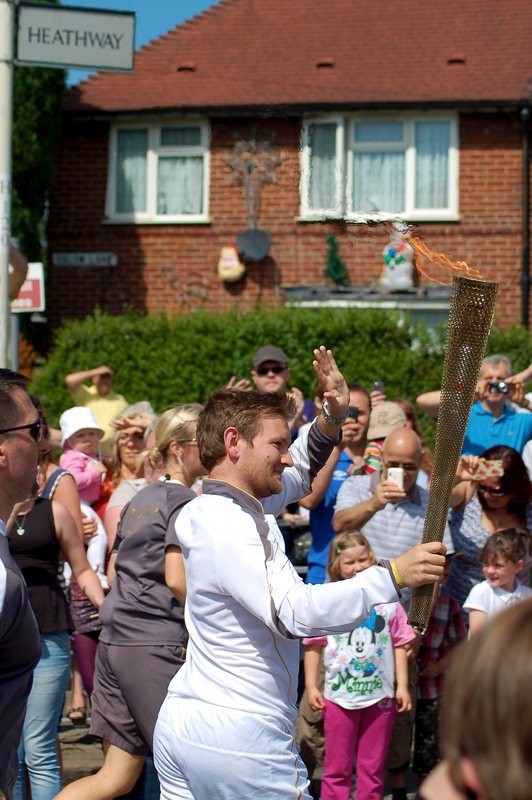 Other boroughs get the torch on midweek mornings, we got to incorporate the visit into the annual carnival parade. Unfortunately, I’ve no idea of the identity of the chap carrying the touch, if you know drop me a comment. 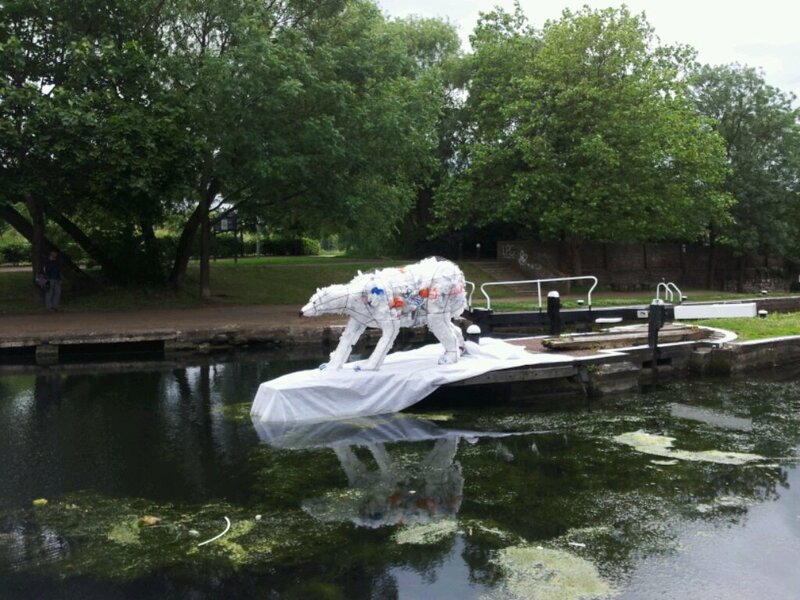 There is a polar bear in the middle of the Regent’s canal at Mile End. No pictures from the archives this week, mainly because I’ve misplaced the box full of photographs. 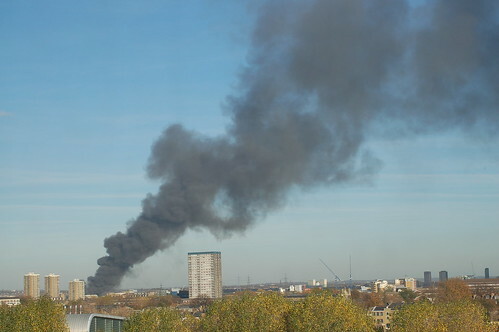 Instead, here is a rather poor shot of the fire in Stratford earlier today. As seen from about two miles away at Mile End about an hour after it started. They paid �400,000* for this? Couldn’t they have given Daniel Halpin (the TOX-03 guy from the tube) a small grant and got him to spray LDN-12 everywhere instead? Just as much of an eyesore, but a damn sight cheaper. * Note: This number may have been pulled from my arse, but I doubt it is far wrong. EDIT: Wow, I guessed correctly on the price. Posted on 4/6/2007 4/6/2007 Author dtlCategories General, London, London20122 Comments on WTF? London will be hosting the 2012 Olympic games. I work about a mile west of the soon to be Olympic Village. so I have something of a vested interest in seeing this area regenerated. I doubt (hope) I’ll still be living and working in this area come 2012, but it will be interesting to see the changes as they happen.